We provide high-tech sound and Lighting Systems on rent like Lights Rental Services, SoundSystem Rental Services, Audio Video Renatl Services, etc. In addition, we also offer services like video projections, camera set-up, stage construction, artist co-ordination, set designs & construction and artist management. We render our clients DJ night services that are a splendid medium of entertainment for wedding, corporate events and other enjoyable occasions. With the help of our experienced personnel, we understand the themes and music taste of the clients’ invitees. We offer an information package, which contains details about our services, disc jockeys and some general information that may help the clients in selecting their choices. We constantly update all our music libraries, lighting and sound systems. All equipment are checked before they are sent for event and we also provide back-up equipment for interruption-free organization of DJ night. Sahil Sound Service offer a variety of audio services tailor made and designed to suit any industry. We can design and supply an audio system for any venue / club / bar / hotel or event. 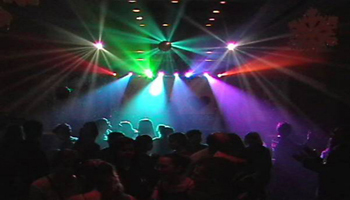 We provide best in class light and sound services that enhance the entire feel of the event. With latest and innovative light and sound technology, we make the event an unforgettable experience. 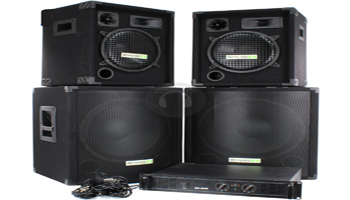 Our team will work with you to bring you exactly what you require from a sound system. We can work closely with the electricians, contractors and designers, to ensure a seamless installation from the early stages of installing cables to the final commissioning and sound test. Lasers, Skytrackers, LED lighting, energy efficient lighting, RGB color change, dimming systems, lighting control, whatever you need Sahil Sound Service can design, supply and install the systems and products you are searching for. Lighting is a key factor to the overall feel and effect of most venues and Sahil Sound Service has the experience and product ranges to help you. Whether it is white light for a hotel lobby or a cool, contemporary color change system for a bar or club, Sahil Sound Service can help. 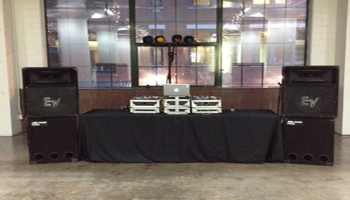 We arrange for the most melodious musical events that are soulful and fulfilling. With experienced and talented singers and musicians our musical groups are sure to touch the chord of audience hearts.